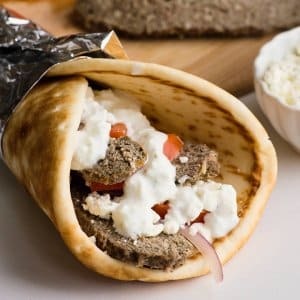 I adore Greek food – It’s been a favorite for years – BUT I haven’t found a good Greek place everywhere I’ve lived over the years (there is this place in Dallas that I dream about – it’s that good). SO I’m left to once again learn to make something myself! 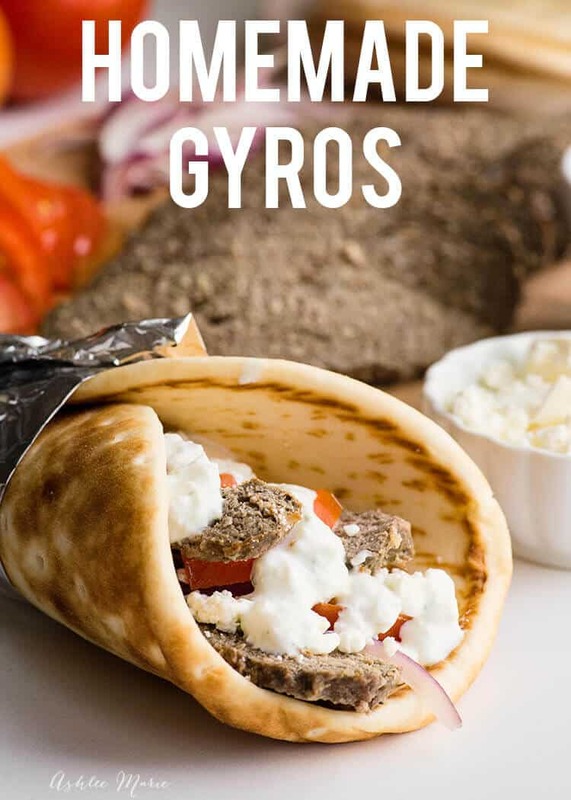 Now the biggest challenge with Gyros is the cooking style! Obviously the traditional way of cooking them on a rotisserie is a little hard without a rotisserie! and seems silly to buy something that I’d only use for one recipe. SO how do you get this recipe right? The Double bake! 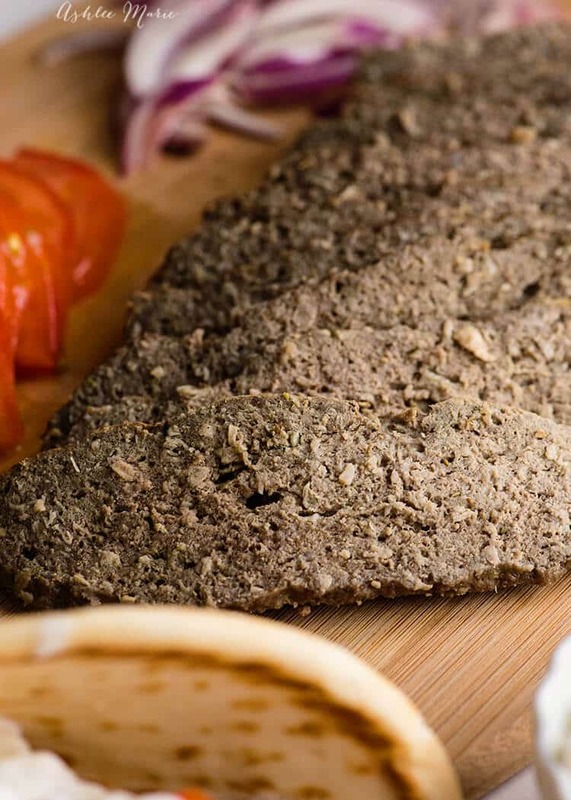 Kinda like biscotti – bake the meat as a meatloaf form first – then cut off slices and broil. The broil will get the outer texture close to the rotisserie we’re looking for! 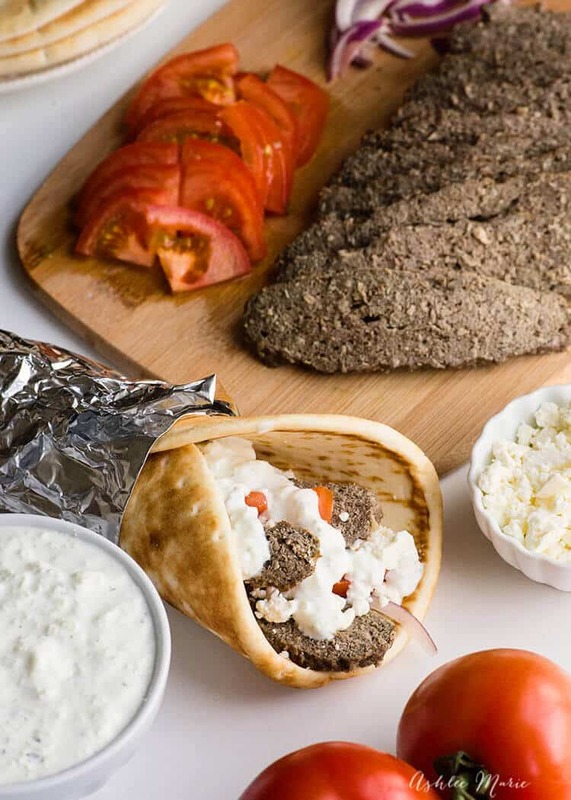 Serve your Gyro’s with pita, homemade tzatziki sauce, feta, onions and tomatoes or anything else you enjoy on yours! I say it all the time but the best part about making food from scratch is the ability to personalize it! Onions, tomatoes, olives… anything you love with greek food. I’m a feta freak so I tend to go overboard in that area. update – apparently calling meat processed “gross” offends people – I apologize now – but while I love eating it I do find that raw meet turned into a paste in the food processor unappealing – you have been warned. 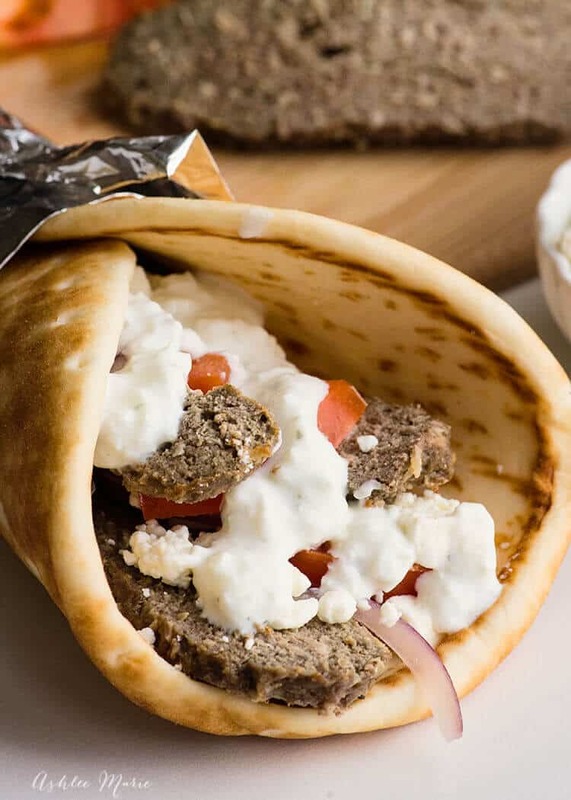 Serve on a pita bread with tzatziki sauce, thinly sliced red onions, diced tomato and feta cheese! So what is your favorite greek dish? There is this greek salad I ADORE, and this stuffed burger is amazing… Or do you have another international cuisine you love? We enjoy Indian, Mexican, Italian, Japanese and more – I’d love to hear what you’d like to see more of!